Abstract | 52 Week Photo Challenge with Some Pretty Creative Themes! My friend is a book collector. 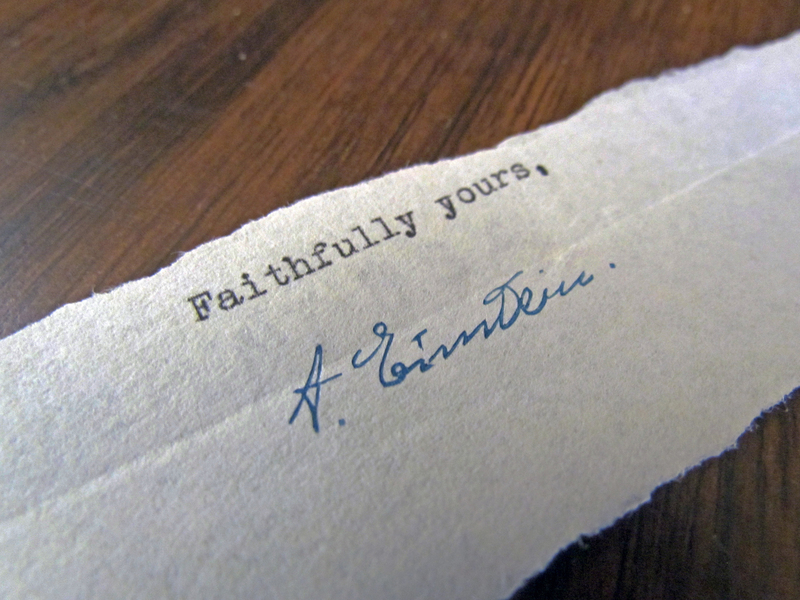 In her findings she has this very special autograph from part of a letter written by Alfred Einstein. She is selling it for $1,000 tomorrow with a local bookstore owner. Pretty abstract any way you look at it.